Nowadays, the PE classes in Taiwan are overseen by Ministry of Education. Therefore, it becomes a problem: People think the government should take the responsibility for all sports. That’s is the reason why the sports sector isn’t autonomous. Beside, there are problems of social support, elitism PE education, insufficient sports field, and so on. Dr. Lin Jia Han (林佳和) of the College of Law of National Chengchi University (政治大學法律系), said that ‘’ there are differences between physical education (體育) and exercise (運動). The former belongs to all the society, and the latter is for the country. ’’ Nevertheless, the government considers exercise as physical education, and in consequence, the development of all sports are led by Ministry of Education. According to Article 14 of the Taiwan National Sport Act 14 (國民教育法第十四條), students under university not only should take physical education (PE) class, but also need to participate in other extracurricular exercise. A student needs to take up to 150 minutes a week of PE class and extracurricular exercise. However, the average number of PE class that students take a week in elementary school is 117.45 hours, junior high school is 115.2 hours, high school is 104 hours, according to 2016 annual report of Sports Administration, Ministry of Education (教育部體育署). When the midterm or final test comes, in order to strengthen students’ score, some of teachers even borrow the PE class time to give classes of main courses. As a result, it has seriously affected students’ right. This situation is not just a single case, but is really common in Taiwan. We can’t help but doubt if the shortage in PE class hours is against the law or not. Comparing with foreign countries such as Germany, whose sports culture is the jurisdiction of Ministry of Culture, Taiwan’s Ministry of Education administrates sports affairs. The primary problem of sports in Taiwan is our citizens think the government should be responsible for exercise, but exercise should be developed not only by government, but also by citizens themselves. In Taiwan, the common PE class for example, is basketball, badminton, dodge ball, and table tennis. Few schools have swimming classes. On the face of it, many people will exercise and sports fad in Taiwan seems good. Although, there are just several mainstream sports. Due to insufficient facilities, physical education of elitism, and lack of support by society, Taiwanese can’t cultivate a good habit when they were in young age. The development of sports in Taiwan is handicapped by a lack of popular support. We can randomly see basketball, badminton, or jogging in Taiwan. Still, only a few sports have become mainstream exercise, such as baseball, basketball, badminton to name but few. The remaining exercises have no opportunity to become a better structure because of the population in Taiwan is only about 23 million. Plus, lacking of people’s support is another big problem. Even though a country which sports fad is flourishing, it still have minority sport. In a completely developed country, like European sports clubs, they cultivate people’s interest in almost every sport. No matter the sports are commercial or not, these kind of exercises are always loved by everyone and have been played all the time. As a result, these sports naturally become more competitive. In a country where sports are fully developed, the nature of exercise is self-realization. You can say that is a way of life. Exercise is not only the government’s business but also every citizen’s. That is why lots of sports are supported by people in Europe. 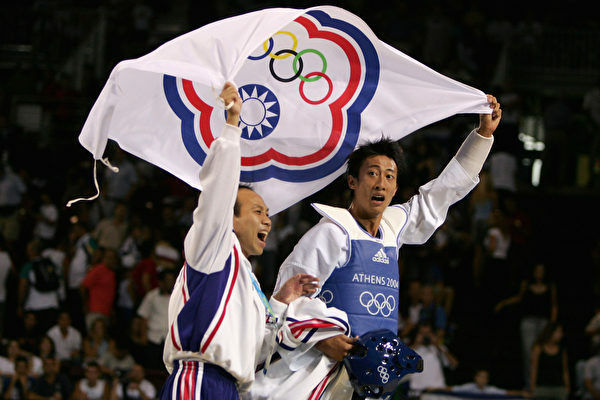 In contrast, the development of sports in Taiwan is led by the state, rather than by the people or civil groups. Dr. Lin indicated that that’s why when a Taiwanese sportsman without exercising, many of them will be nothing. Most of them depend on exercising for their living. Thus, some of them don’t have any other abilities. What is elitism? Generally speaking, there are two situations : one is in the development of pyramid (structure of sports population), the top of pyramid spontaneously keeps approaching elitism, such as professional sports leagues (職業運動聯賽) or social leagues (社會聯賽). Another is people engage in sports from young age. They directly reach toward to elitism. In the end, it becomes a pyramid. Most of European countries are the former, which is a sound system. Taiwan is the latter. Because of lacking of sports population in Taiwan, when training with high pressure, the sportsmen or women are not competitive. Thus, the overall level of Taiwan’s sports can hardly be raised. ‘’In case of competitiveness of athletic sports and athletic sports in all people, nowadays, it is not well executed in Taiwan,’’ said Dr. Lin. He indicated that the best way to develop is learn from the first model mentioned above. No matter it is the strength of athletic sports or simple habit of exercise, sports should become an indispensable activity in people’s daily life. Dr. Lin said, “It is difficult for Taiwan to build the system. It needs cooperation from society. Unfortunately, based on the history, Taiwan falls into path theory (路徑理論) so that can’t change the way of elite physical education.’’ Our government and people still have lots of things to do. The most often used place that people go to do exercise is school, followed by park, and the third is sidewalk, according to a 2016 survey done by the Sports Administration, Ministry of Education. It seems like the awareness of exercise keeps rising. But, in fact, when it comes to sports fields, we can find that few places are available. ‘’ In my hometown, if you want to exercise, you have to take a long journey to the place, said Chen Hsuan Chu (陳瑄竺), student from Taoyuan. Zeng Ming Dao (曾明道), student from Shin Hsin University, said that one of my friends has a habit of playing cricket and squash. However, in Taiwan, there are just very few sports being respected. Hence, there is hard to find a place to use. ‘’ I used to join cheerleader team before. There didn’t have anyplace for us to train. Thus, we turned into a space under the pier in the end. The floor under the bridge is really bad. Security is the most biggest problems for us. Take volleyball for example. In Taiwan, volleyball courts usually are outside the door. Therefore, when it rains, there is no place to play volleyball. Another case is that when there are no professional-standard facilities, such as baseball fields, the athletes may not train well. The problem of insufficient sports fields will influence sports development, to the point of making a sport lose its competitiveness. More seriously, if the field isn’t good, you might get hurt during your training. Our government should take seriously about this situation. If Taiwan doesn’t try to transform the structure of sports into a stable pyramid like Europe countries, it will have difficulties for Taiwan to break through its current situation. All we can do is wait for a miracle to happen or wait for a sportsman to win a gold medal. “However, wining a medal in Olympic Game isn’t equal to developing sports well,” Lin Jia Han (林佳和) said. In Korea and Japan, soccer is becoming more and more popular and may some day even overtake baseball, developing faster than we thought. The soccer culture in those two countries may not be in the top-notch in world rankings. Lin said that to date, Taiwan has made a mistake — taking the competition results as national competitiveness. As a result, as long as the performance of one sport falls, some of people will reckon that sport in Taiwan doesn’t grow well. In addition, sports clubs should recruit members from all social strata. We should also shed the idea of judging sports from athletic performance. It is important for all members of society to learn.